Bologna Central Station Parking will give you the opportunity to leave your car in a safe car park at affordable prices. It is a convenient and secure solution for those arriving at Bologna Central station in Piazza delle Medaglie d’oro by car. Bologna Central Station Parking offers covered spaces and can accommodate different types of vehicles such as campervans, SUVs, minibuses and vans. Book your Bologna Central Station Parking space now through our website and benefit from special prices for both daily and hourly stays. Bologna Central Station Parking is definitely a great choice for your car. 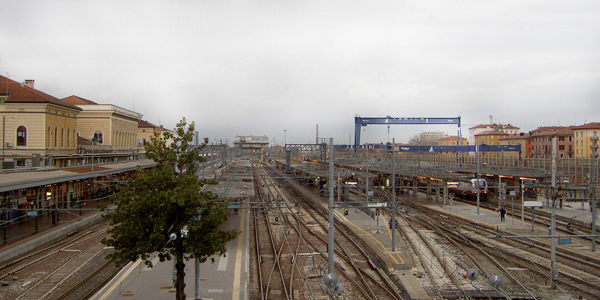 Bologna is one of Italy's largest stations, used by 58 million travellers each year. Thanks to its geographical location, the station is connected to numerous Italian towns via the main routes. The entrance to Bologna Central Station is in Piazza delle Medaglie d’oro, practically right next to the city centre, perfectly located for visitors of the city.